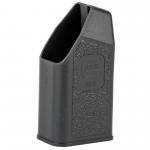 Factory original Glock 23 13rd 40 S&W Magazines. These are all new mags and the lattest generation. All are metal lined, drop free and will work with ambi magazine releases.